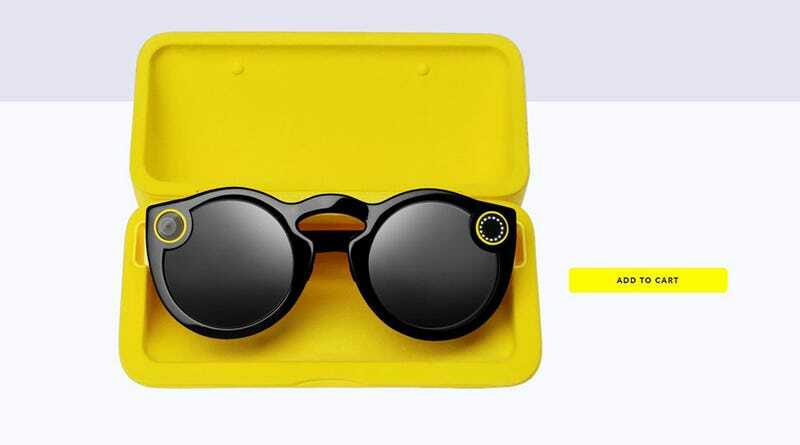 With the release Spectacles, its first piece of hardware, Snapchat also announced that it was renaming its corporation Snap Inc.—a move that would position them as a broader tech enterprise. After months of restricting supply to IRL pop-ups, Snap will now sell the video-recording sunglasses online. Spectacles use a fish-eye lens that captures circular video at an 115-degree angle. This allows for the videos to be viewable in any orientation on a phone. They simultaneously function as a personal video-recording device, a fashion statement, and a way for Snap to deliver a type of video that no one else does. With the decision to make the limited supply of Spectacles available to U.S. customers online rather than forcing people to wait for hours at a few select locations, Snap is about to put its glasses to the test. Do people really want these things or was the unattainability of them the biggest sales motivator? When the vending machine pop-up stores appeared in major cities and random locations like the Grand Canyon, people waited in line for hours to buy them. Resellers scooped up multiple pairs and dropped them on eBay for as much as $900. The high prices have fallen to more reasonable numbers, indicating that the novelty may have worn off. Now that anyone can get a pair for $130 and have it shipped within 2-4 weeks, Snap better hope this is something people want. Analysts believe the decision to make Spectacles available online is a move to maintain dwindling public interest. Pop-up stores haven’t been overrun lately and they’ve closed for “a brief nap” as of today. When Facebook went public it was already making billion dollar profits and it has continued to do well for investors. On the other hand, Twitter’s IPO came at a time when they were still losing money and they continue to disappoint. Snap’s hardware gambit could be a smart way to diversify business or it could be a distraction from the fact that they’re still just a social network.